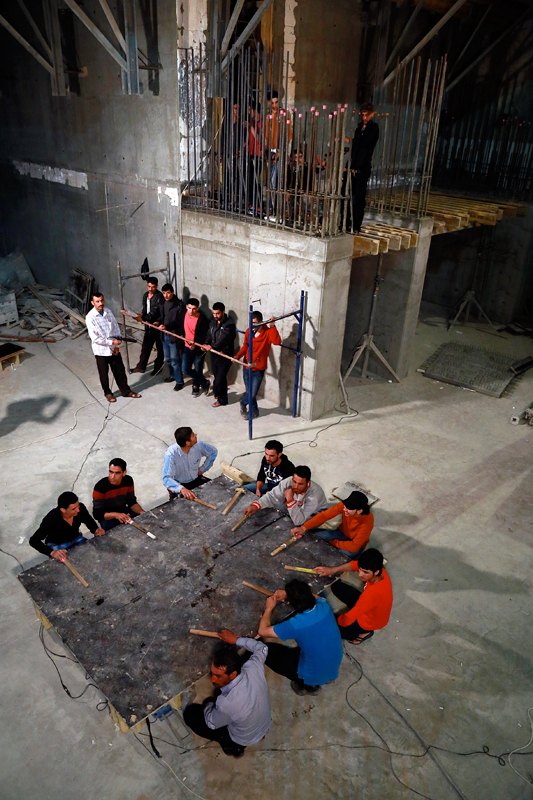 Concrete Sampling (arrangement for derbekah and jackhammer) is an evening performance by a crew of workers in an excavation/construction site in Downtown Beirut. It is conceived as an interference in the urban soundscape, as the set up of a new rhythm within the existing one. 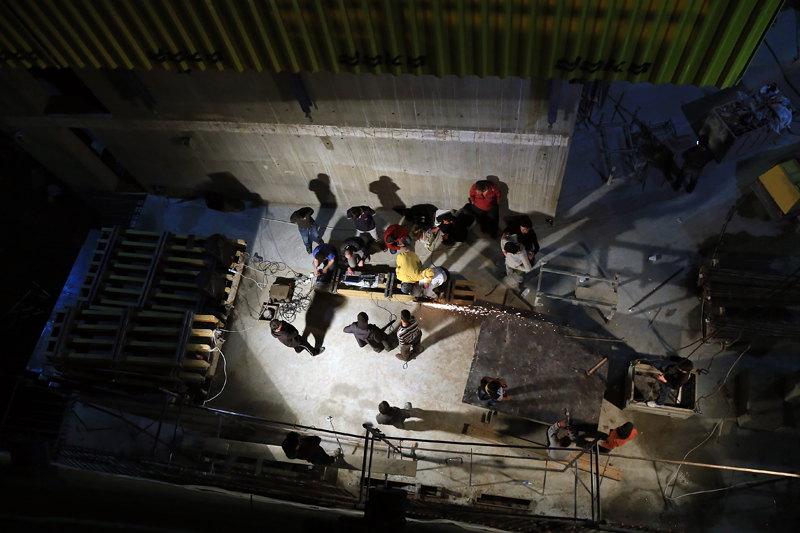 The audience experienced the piece from above on the cusp of the location. 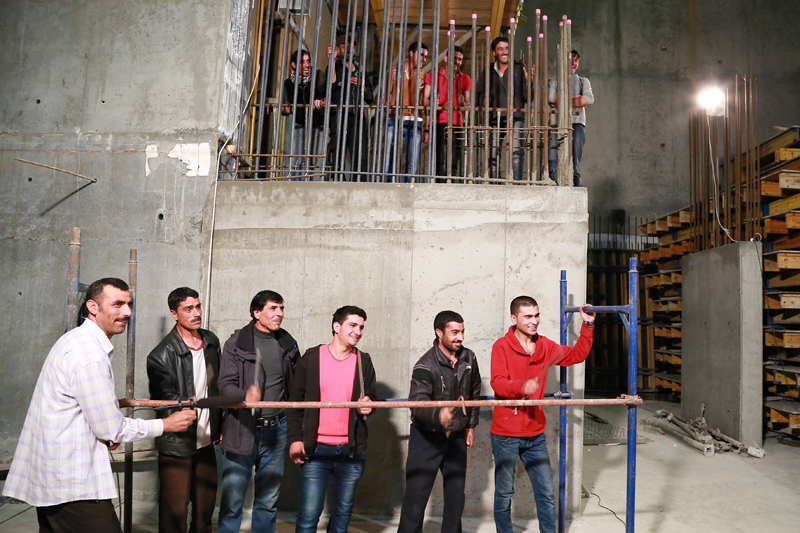 The proliferation of construction sites in Beirut has inadvertently become a distinct ubiquitous sound-landmark. The performance attempts to deconstruct this soundtrack, creating a rupture to engage the space as the actual material of work. 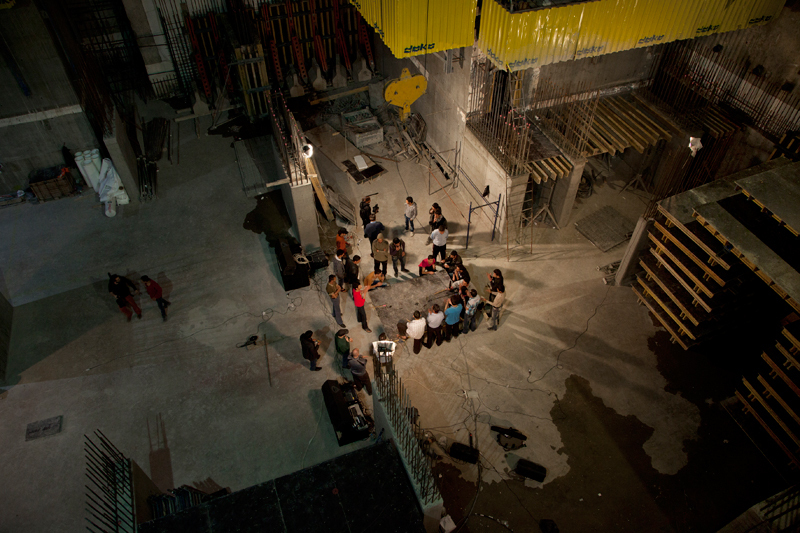 The performance explores the inner nature of the space and its acoustic potential. It is based on the idea that a 'section' of the city (with a particular identity within the urban/historical landscape) will self-activate, turning its own sonic identity into a new autonomous composition. 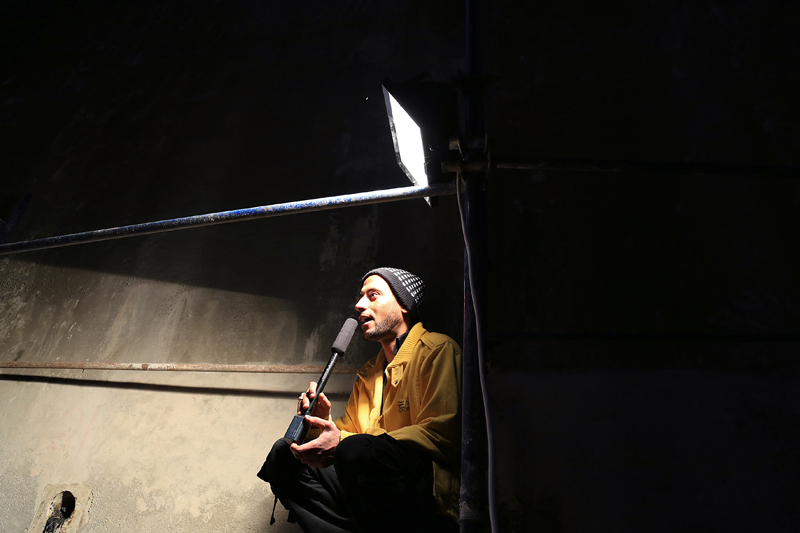 The sounds and rhythms of the site, collected over several months, serve as base material for the actual sound performance. 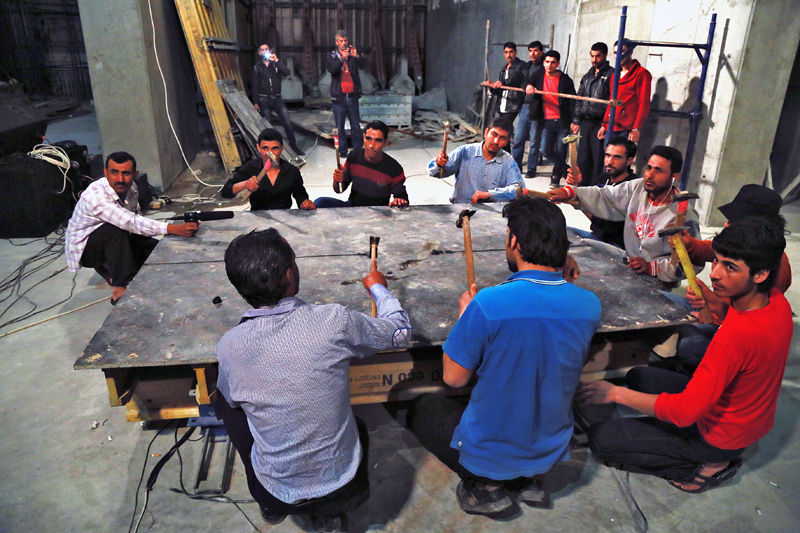 This sonic identity is partially constituted by the performers themselves – the actual builders of the space. 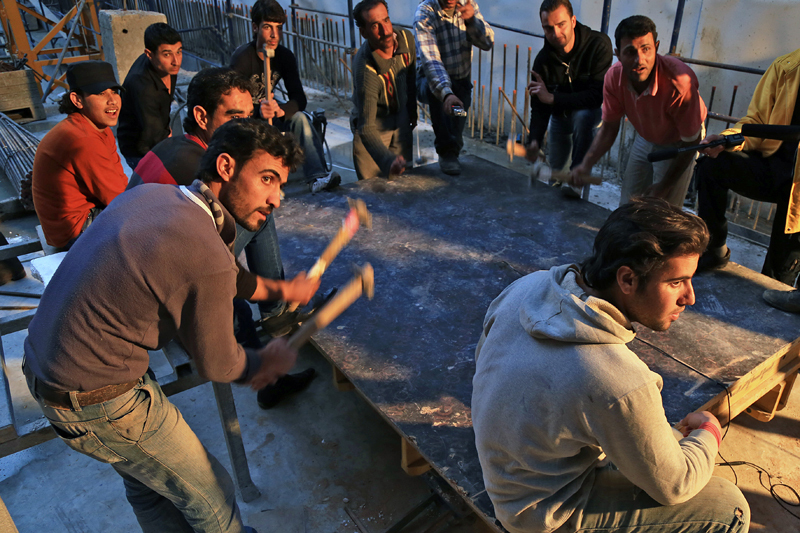 They are Syrian nationals and, in Beirut, the construction sites are often their temporary homes. So far, their voice locally has the nature of a subterranean grumble. 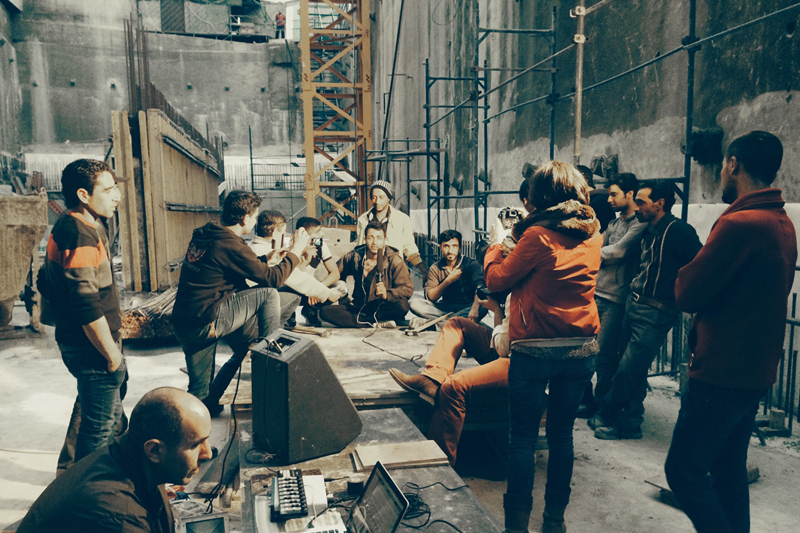 We spent two months working with the crew. 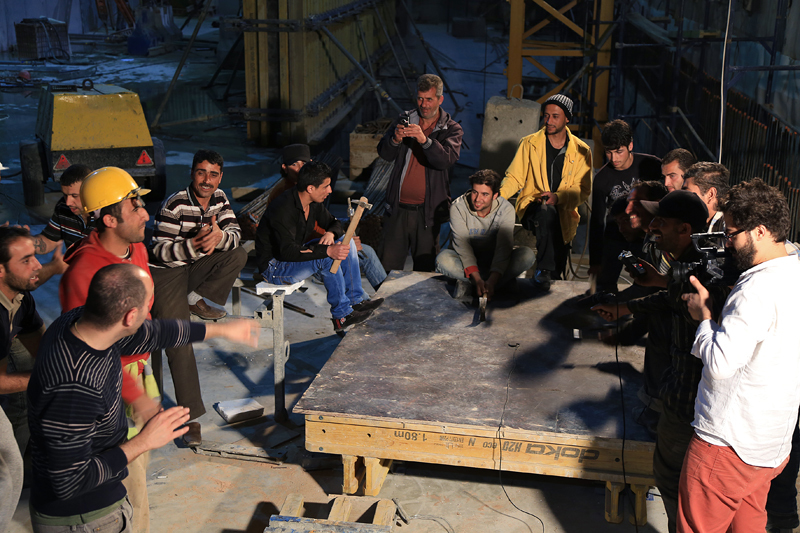 Every day the workers rehearsed new possibilities of creating new sounds out of their daily working tools. 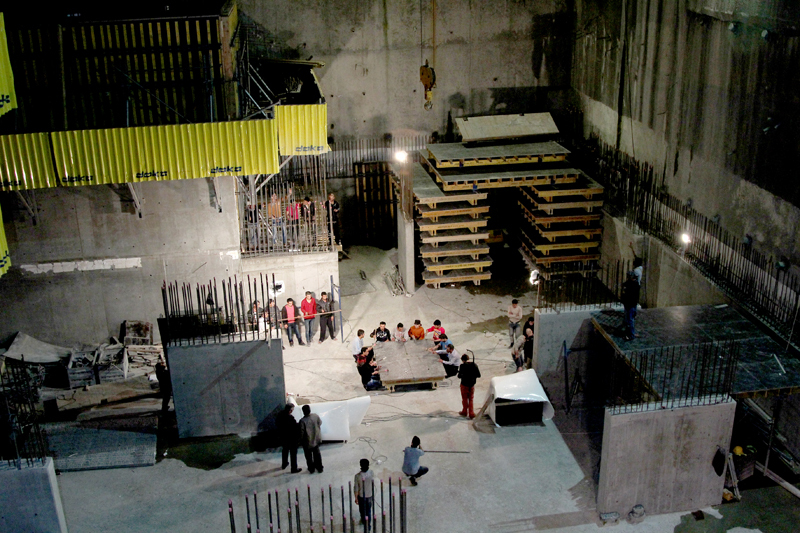 The final performance itself is a sound composition with processed samples culled from the research database of the project site, infused with live improvised performance of work tools / musical instruments performed by the workers, and broadcast with microphones placed strategically within the space to explore the resonant qualities of the site itself. The project aims at hijacking the functionality of the daily normative, changing a passive reception into an active appropriation and introducing a subjective temporality – other than the day/night, work/rest, noise/silence dichotomies.